Cocoon Ibiza recently revealed its summer line-up. Deeply rooted in the party island's happenings, the Frankfurt based gang around Sven Väth aims to pull out all the stops to bring you a season unlike any other before. 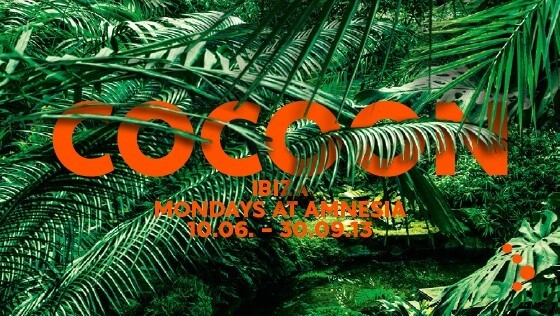 Cocoon at Amnesia - as simple as this motto may sound, the fusion of Sven Väth's vision and the consistent evolution thereof, will turn over a new leaf on Ibiza. The organically grown experience will be celebrated in an optimised fashion for 17 nights, from Monday June 10 through to September 30. Cocoon: "Sven Väth and Ricardo Villalobos are the Cocoon residents for the 14th season in Ibiza and we invited our favorite artists like Richie Hawtin, Loco Dice, Luciano, Dixon, Seth Troxler and many more. They are all coming to play, even though some of them are hosting their own night... but to see them at Cocoon in Amnesia is always something special, and a unique experience..."